Ctrl V is actively looking for franchisees in a variety of markets while focusing on Canada and the United States. We are seeking qualified individuals with business experience & acumen and an avid interest in emerging and advancing technology. Franchising provides the franchisee with an opportunity to become an entrepreneur and a business owner without having to navigate the trials and tribulations of starting an initiative from scratch. We’ve made all of the mistakes for you so that you can simply get up and running and start building a future of security and excitement. Ctrl V was North America’s first virtual reality arcade and is currently the largest virtual reality arcade chain in the world. Ctrl V is an international brand with partnerships that span every required component of the franchise infrastructure to ensure a business model that breeds longevity and creates a runway for growth. Ctrl V has developed one of the most refined and sophisticated franchise infrastructures in the VR industry. With full-time technical support, coupled with a marketing team full of professionals, designers, and assets, and an operations team that provides weekly followup and mentorship as well as regular field audits, we’ve nailed the model and the process. All we need is you – driven and motivated entrepreneurs. What’s stopping you? Contact us and let’s have a chat. Why Franchise with Ctrl V? Virtual reality is as much fun for the observers as it is for users. Ctrl V arcades are family- friendly environments which foster enjoyment for everyone. Being a Ctrl V franchisee provides you the opportunity to expand your business with virtually unlimited facility opportunities available across Canada and the US. Virtual reality is a technology that has been around for decades but is only now ready to be presented to the world as a viable avenue for commercial use. Become a pivotal component in bringing VR to the masses. As a Ctrl V franchisee, you have the opportunity to take advantage of the partnerships and relationships that we’ve already established, so you can focus on building a great business. With our own marketing and service staff, and a team of qualified software developers, Ctrl V franchisees experience a level of support that is unparalleled in the industry and makes your job much easier. 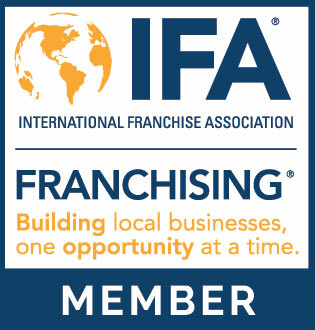 Ctrl V is a proud member of both The Canadian Franchise Association (CFA) and The International Franchise Association (IFA), which are dedicated to encouraging and promoting excellence in franchising. As members of these associations, Ctrl V agrees to abide by each association’s Code of Ethics in its general course of conduct and in carrying out its general policies, standards and practices. Ctrl V will also further both association’s goals in encouraging and promoting ethical franchising. Ctrl V franchisees possess an entrepreneurial spirit and are committed to building a successful business. We seek out franchisees that are entrepreneurs and business people first and foremost. Owner/operators are the types of franchisees we want to work with – technological literacy comes second. If you enjoy working with people, learning new skills, and are ready for an exciting new challenge in an industry that is growing fast and is part of one of the most compelling advancements to humanity, we may be right for you. 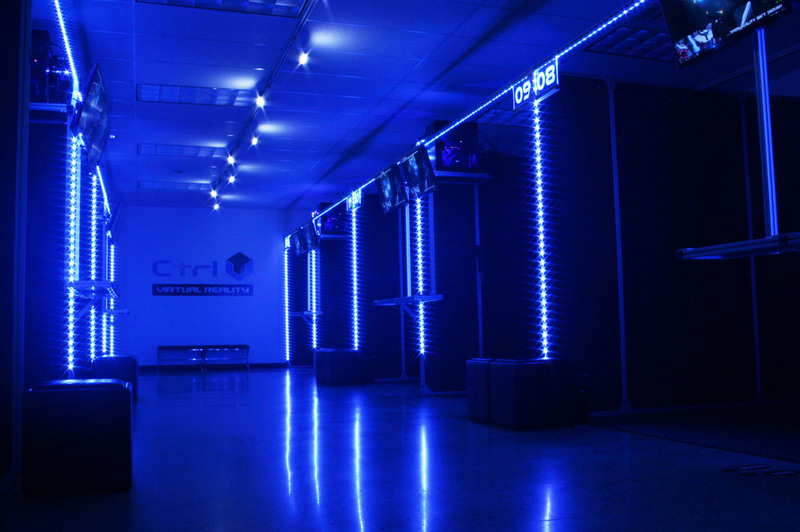 At Ctrl V, we have an easy-to-run operation, built on technological efficiency, and incredible fun. Our start-up costs are a fraction of those offered by our competition. Joining the Ctrl V team gives you the great opportunity to own your own business with a low investment, national and regional advertising, a great training program, ongoing learning for our owners and their staff, development assistance, design support, lease negotiations, construction guidance and much, much more. Are You Right for Ctrl V? Ctrl V is a fantastic organization to be a part of and we are proud to have a fantastic team working together. We’ve put a lot of effort into making sure we work together as a team to help further the company mission and it is important that we maintain the integrity of our system. And so, it is important to understand that entrepreneurialism isn’t for everyone and working with Ctrl V isn’t for everyone either. We want all of our locations to be cohesive and successful and to do this, we have to make sure that we are a fit for each other. So what are we looking for? Here are a few things to think about and consider whether you possess. Reach out to us using the form on this page and fill out our franchise application that we send to you so that we can learn a little bit about you, your past, your ability to franchise (financially and otherwise). Come visit our flagship location in Waterloo to see how the operation runs, meet the team, and allow us to have a more in-depth chat about your franchising opportunity. We start talking about the franchise disclosure documents and other requirements for opening up. Once everything is reviewed, signed, and paid for, we can start looking for a location, purchasing equipment, and planning a rollout. Please fill out the below contact form and someone from our franchising team will reach out to your promptly with some information about the costs required to startup a Ctrl V franchise as well as a preliminary screening application for you to fill out and submit. Please be advised that we receive numerous requests from all over the world. We will do our best to try and get back to you and respond to your inquiry in a timely manner. If you would like to increase the response time, please be sure that you complete the franchise application that is sent to you after submitting this inquiry form. This website and the franchise sales information on this site do not constitute an offer to sell a franchise. The offer of a franchise can only be made through the delivery of a franchise disclosure document. Certain states/provinces/countries require that we register the franchise disclosure document in those states/provinces/countries. The communications on this website are not directed by us to the residents of any of those states/provinces/countries. Moreover, we will not offer or sell franchises in those states/provinces/countries until we have registered the franchise (or obtained an applicable exemption from registration) and delivered the franchise disclosure document to the prospective franchisee in compliance with applicable law.